Hilda has lived in Dubai for over 19 years and worked for Multi National Companiesin various senior positions but her passion for Real Estate developed when she worked for Dubai World Trade Centre assisting the Director of Leasing and Property, managing around 119 units in the tower with the contracts and personally dealing with the clients on a day to day basis, it was a job that was most rewarding. 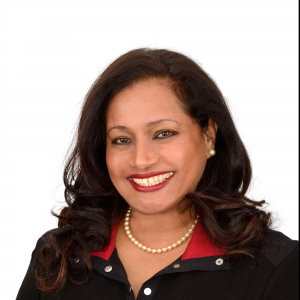 Hilda was a licensed Real Estate in March 2006 after coaxing from her family who trusted her potential and visualised her passion in Real Estate specially being a People’s person that she is. Hilda’s greatest contribution to her success in Real Estate is her Humility, Sincerity and Patience. Hilda’s strong negotiating and communication skills, dedication and in-depth knowledge of the marketplace is what has attracted most of her clients. As you agent, Hilda’s dynamic personality, achievement and performance awards are a reflection of artfully combining the business of Real Estate with her guaranteed commitment to service and professionalism. Hilda promises to provide her clients with the highest level of service possible with the least inconvenience. Hilda is where she is, truly because of clients trust and support. Hilda’s goal is to help at least one family per year and make a difference in their life. Hilda is a “PRESIDENT’S GOLD AWARD” winner from 2008 ………….2012 AND achieved the “AWARD OF EXCELLENCE 2012”. Hilda Specializes in : Purchase/Sale/Lease of Residential Condos, Free Hold Town homes, Semi detached, detached, Investment Properties and Property Management. If you need someone with Integrity, Patience, Humility and knowledge of the Real Estate please contact Hilda @ 905-782-4567 and don’t be shy to talk about Hilda to your family and friends. A Referral is the greatest compliment you can give Hilda.